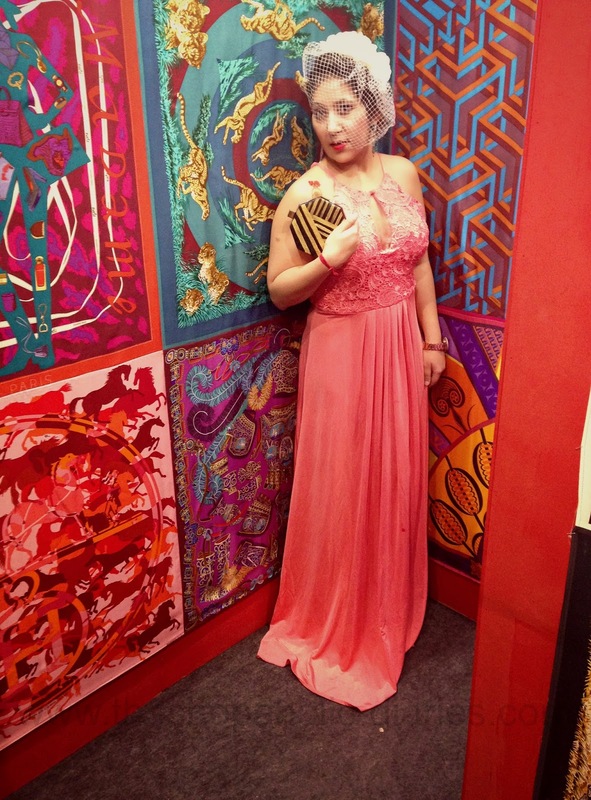 OOTD - What I Wore to The Hermès Masquerade Silk Ball | The Shopaholic Diaries - Indian Fashion, Shopping and Lifestyle Blog ! I had shared it on Instagram and Facebook that I will be attending Hermès Silk Ball which was organized at Leela Palace, Delhi a couple of weeks back. I had also shared a picture of the outfit I was wearing and many of you were really eager to know what I wore. And finally your wait is over, as I am sharing more details on what I wore for this exclusive event organized by Hermès India which focused on the gorgeous silk collection of the brand, and had a theme of a masquerade ball with masks, fantastical makeup and flashes of folly! Keeping in tune with the theme of the event, I got this beautiful ball gown from Trendy Divva - a chic women's fashion brand offering the most luxurious and contemporary fashion garments so that you can present yourself through style. This halter strap pink gown has intricate lace embroidery till the waist and a ruched detailing at the waistline. I paired the gown with lace heels from NEXT, a pair of emerald earrings from XOXO accessories and a chic net fascinator from Claire's to keep up with the ball's theme of headdresses. 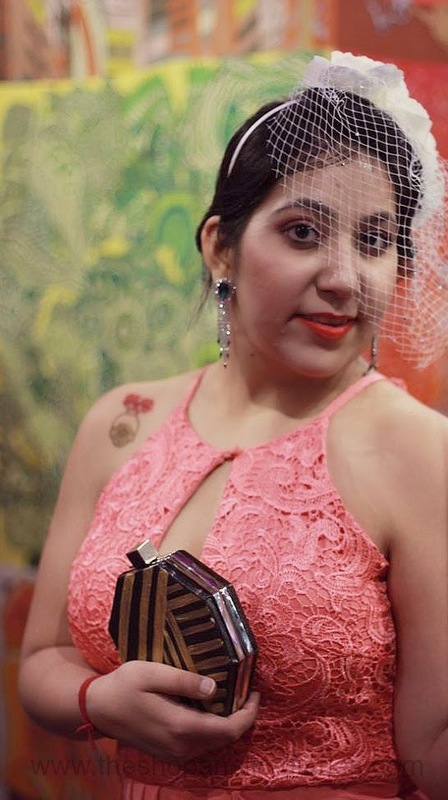 I also carried a hand-painted octagon box clutch by Anusha Lalwani which features an acrylic canvas painting and also has a metallic chain which makes it easier to carry when you want to keep your hands free. 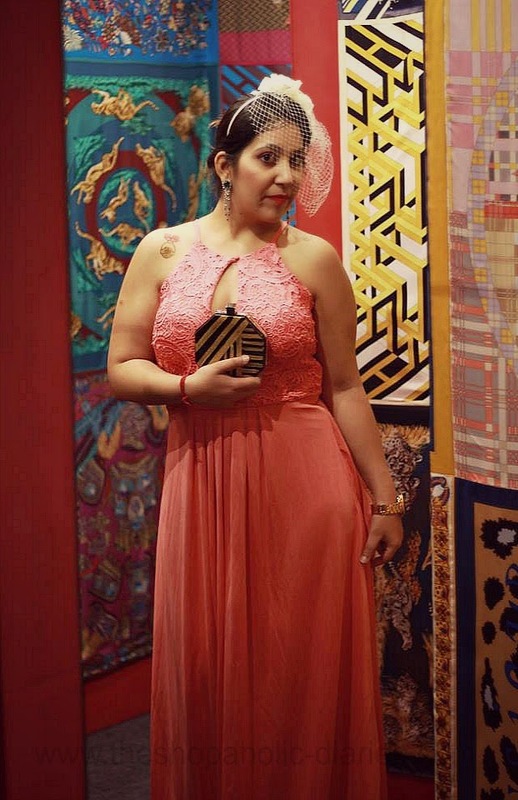 The background which was a part of the entrance of the venue featuring a maze full of walls and mirrors, covered in colorful Hermès scarves served as a great background for my solid colored gown. The night was also filled with music, dance, delicacies and drinks. 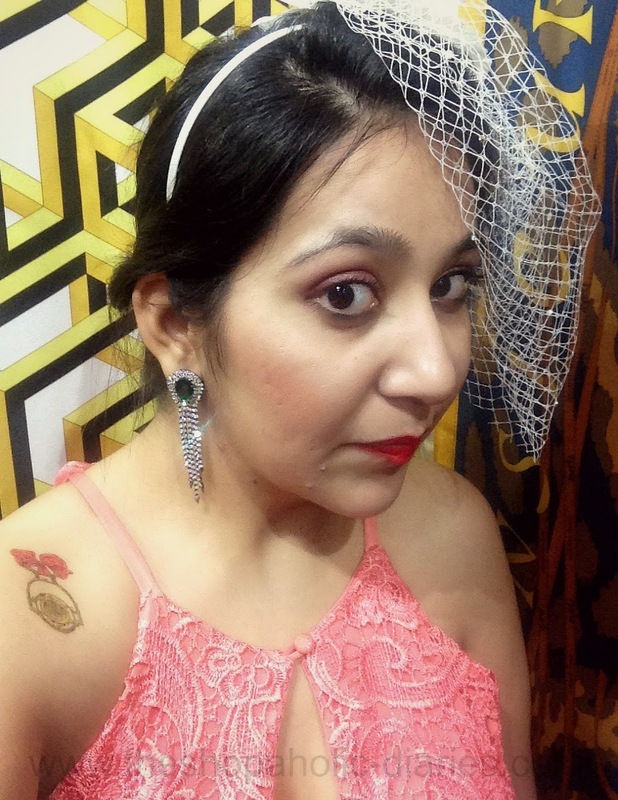 There was an interesting photo booth where everyone could get clicked with a Hermès scarf in different ways, a makeover booth - from where I got my hair done, and also one could get sticker tattoos - like I did on my shoulder. I kept the makeup light, focusing on my eyes and the lips. I had a fun time attending the event with my besties and meeting fellow bloggers. It was definitely a night to remember and I thoroughly enjoyed it. Leave your views about my outfit in the COMMENTS below. 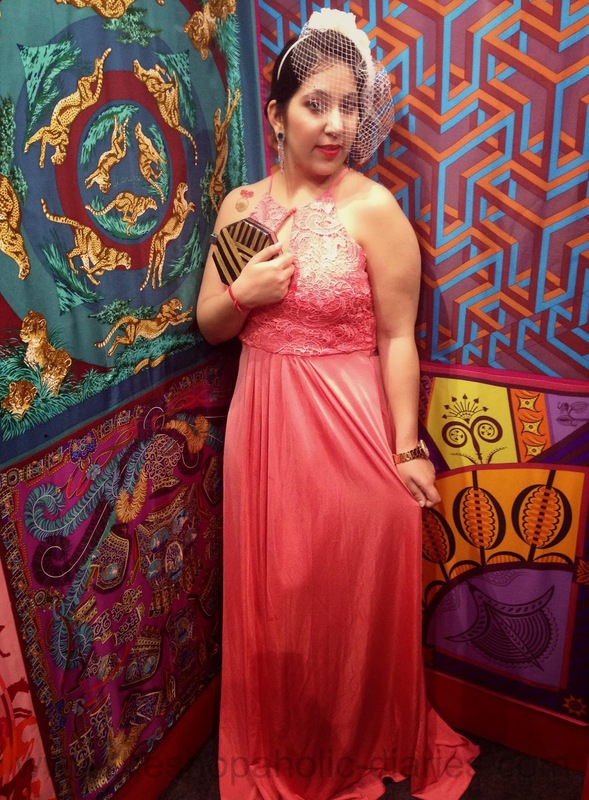 Your little creation on ball gown took us to ‘theshopaholicdiaries’ – “What I wore to the Hermes Masquerade Silk Ball” ! We would love to show case your ventures on trend and DIY creations on our global platform.